Commercial property to let: Private offices (Serviced or Unfurnished) & Co-Working in Bank, London. Contemporary air conditioned offices to lease in EC2 are housed within this refurbished building. This contemporary office building on Gresham Street offers a wide selection of executive business space to let in EC2. This Business Centre for hire in Bank provides a prestigious place to conduct business in the City of London. This commercial property in Moorgate offers ultra-modern office space to lease. Formerly occupied by the Queen's stockbrokers, this Grade II listed Victorian building has been recently refurbished. 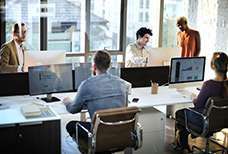 Companies in need of secure office space with modern facilities will find these central London Serviced or non-Serviced offices a perfect fit. The offices to let in EC2 are in the heart of the capital's financial district. This luxurious business space to let in The City is based within a striking period building situated opposite the Bank of England. This business centre in the heart of the City of London provides both private and shared office space solutions to let. 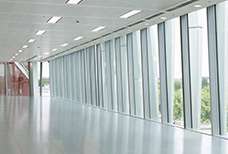 Situated at the heart of the Square Mile, these EC2 offices are available to rent. This property in Bank provides a private 755 sq ft office for a team of up to 12 people. The recently refurbished Gresham Street building hosts a range of office sizes totalling 40,000 square feet.